"We have very strong political difference with the BJP and Vasundhara Raje. We have been very critical of her policies. 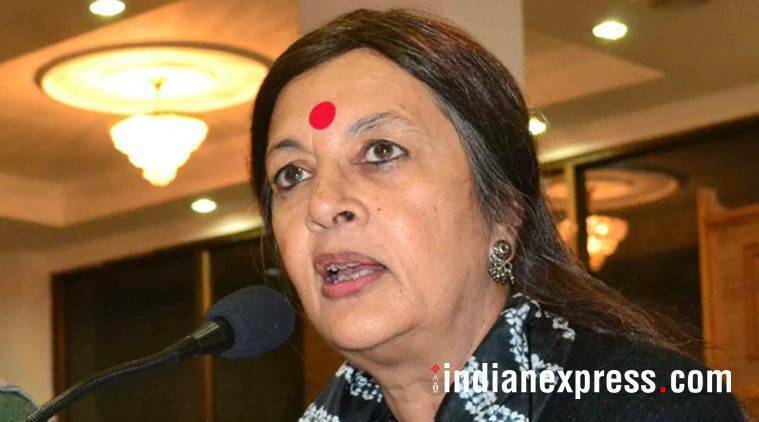 But never such personal comment against a woman can ever be accepted," Brinda Karat said. CPI(M) leader Brinda Karat demanded an apology from former JD(U) leader Sharad Yadav on Friday over his personal comments on Rajasthan Chief Minister and BJP leader Vasundhara Raje’s appearance. “A senior leader like Sharad Yadav making such a derogatory comment on a woman leader, who is also a chief minister, is extremely objectionable. He should withdraw his statement and offer an apology,” Karat said. She said that despite her party being at odds with the BJP, such comments against any woman is unacceptable. “We have very strong political difference with the BJP and Vasundhara Raje. We have been very critical of her policies. But never such personal comment against a woman can ever be accepted,” Karat said. Yadav made the personal comments, calling Raje fat and asking people to give her rest, while addressing a rally in Alwar on the last day of campaigning in Rajasthan on Wednesday. The Rajasthan chief minister urged the Election Commission(EC) to take cognisance of Yadav’s comment on her physique. “To set an example for future, it’s important that the EC takes cognisance of this kind of language. I actually feel insulted and I think even women are insulted,” Raje told reporters. Faced with the backlash from various quarters, Yadav told the media that it was a joke. He was quoted as saying that he had no intentions of hurting her and it was not meant to be derogatory in any way.